My name is Michael Cassara, and I’ve been pursuing genealogical research (for myself and others) for over twenty years. I live in New York City and work as a casting director for musicals, movies, and plays. Genealogy, however, has remained a constant passion/obsession and provides a nice (and necessary) balance in my life. As someone recently pointed out to me – there are actually a lot of parallels between the two fields. I guess you could say I’m a people person but, depending upon which hat I’m wearing, they’re not always alive! 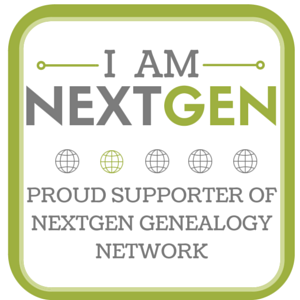 While I’ve been reading dozens of amazing genealogy blogs and websites for many years – I’m only now jumping into the arena myself. I hope for this site to feature articles and items that are relevant to my research and, with any luck, to yours. Michael is a member of the Genealogical Speakers Guild and is available to speak at genealogy conferences, society meetings, and other events. 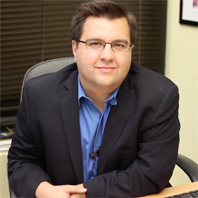 Based in New York City, he travels regularly to present on a number of different topics. Most recently he has presented at RootsTech, the largest family history conference in the world. In 2014 he presented one of his most popular lectures, “Putting Things in their Place: Paying it forward in the digital age” and he followed it up at RootsTech 2015 with a standing-room-only presentation on “21st Century Italian Genealogy”. Michael’s 2016 RootsTech presentation, “Cemetery Crowdsourcing”, was filmed and is available for viewing on RootsTech.org. Michael is a member of the Association of Professional Genealogists (APG) and holds a Certificate in Genealogical Research from Boston University. He serves on the board of the Italian Genealogical Group, currently serving as its First Vice President. Hi, I’m trying to subscribe by email, and I was told to leave a comment. So here it is! Thanks. Have read many blogs but your site in particular, has just become my favorite !!! ..the site is clean and uncluttered .. Your stories are down to earth and believable. Will look forward to receiving more posts and will spread the word for others to “find” you. Thanks for providing a good read and information that can be useful to those in similar situations with their searches.